WSET 4 is entering a new round. Did you know that? Everything about the new concept, what is waiting for the prospects and what is this WSET, you read below. WSET – What is it? You may have heard it here and there before – WSET. Whether at the local retailer or in the wine bar of trust. WSET stands for Wine & Spirits Education Trust and is an internationally recognized educational institution, which, as the name implies, deals with the teaching of wine- and spirits-related topics. The head office is located in one of my favorite cities, especially when it comes to wine, in London, where the WSET was also founded in 1969. Here interested people can obtain a corresponding qualification after completing a course and passing the exam. These are divided into different levels. They range from level 1 to level 4, logically build on each other and have a corresponding increasing difficulty level. The widespread opinion that WSET is only relevant for professionals and industry-related people, I can not sign so. Sure, do you work in the industry, whether trade or the guest, you do not come around the one or other qualification around. But also private lovers and those interested in the WSET courses to expand and deepen their understanding of wine and spirits, depending on the level. After all, knowledge has never harmed anyone. The dip WSET Level 4 is clearly the most demanding in the series of these awards and will receive a face-lift in 2018. Incidentally, passing is required to apply for admission to the Master of Wine. The ‘New Diploma’ is offered in Koblenz, where my dear Katrin Friederichs teaches as well. Together with partners like the state of Rhineland-Palatinate, Campus Neustadt, the German Wine and Sommelier School and, of course, the WSET, this program is strongly geared towards this program , The prerequisite for admission is on the one hand, the minimum age for the consumption of alcohol and the award in WSET Level 3. WSET 4 is divided into six different units until mid-2019. These become again into ‘preparatory units’ – 1. The global market & 2. Wine production – and ‘product knowledge units’ – 3. Still wines of the world; 4. Spirits of the world; 5. sparkling wines of the world; 6. Liqueur wines of the world – divided. After passing the exam you will receive the ‘red pin’, which confirms the qualification of the WSET 4 Award. The whole thing is in German language of equip. So far so good. From mid-2019 it will be a little different. Although there are still six units, these are different and together – and that’s the trick – will be offered for the first time in Germany in English. More on that later. In the New Diploma, D1’s wine production and D2 wine business are the first of its kind. The passed exam, consisting of short, open questions and entitled to continue the examinations in D3 to D6. In D3 Wines of the World, on two days the knowledge is tested both in writing and by tasting. In D4 Sparkling Wines and D5 Liqueur Wines, the written exam and the tasting are combined until, in D6 Homework, it’s time to do over 3000 words to do the housework. That was the facts. Let’s come to the topic that is most relevant for me and probably also for anyone who is interested: the language. As already mentioned, WSET Level 4 was previously held in German and the exams also in German. This has changed fundamentally with the New Diploma. The course itself will be bilingual and will have both German and English shares. The exams, the earliest date for which will be in late summer / fall 2019, must now be completed entirely in English. Honestly, I was surprised that this should be one of the fundamental innovations. Why? Very easily. Wine is an international topic. There are different grape varieties, depending on the country and region different climates, but also other market situations and circumstances. Apart from that, where is only enough German today? That’s why I find the step to the bilingual course with full English exams not only useful, but even important and creates enormous added value. And this added value is not the fact that the translation costs for Level 4 can be saved in the London headquarters. Since the New Diploma is anything but a picnic and will require the candidate in all units and the exams to do everything in his or her best hands, the new bilingualism and the English exams can be another stress factor for the examinee. Even for fluent English speaking and writing ‘wine people’ the exams held in English may also mean extra work. Afraid of English? You will get support! Even beyond the various learning materials, emphasis is placed on the best possible preparation. So it’s not just about the materials, but also about the way you pervade the New Diploma. From the right time to the different techniques to remember everything not just for short-term memory. In fact, I think the learning strategies and techniques are very exciting, because it somehow – at least I am so – very fast to forget how to learn properly. Especially during my studies, I was able to remember that painfully. To make matters worse, there was the special love for the wine, and that the urge to learn something about, for example, the Rioja than any statistical quark – which I’ll never need again – definitely had the power X.
Dip WSET 4? Who can, who should! 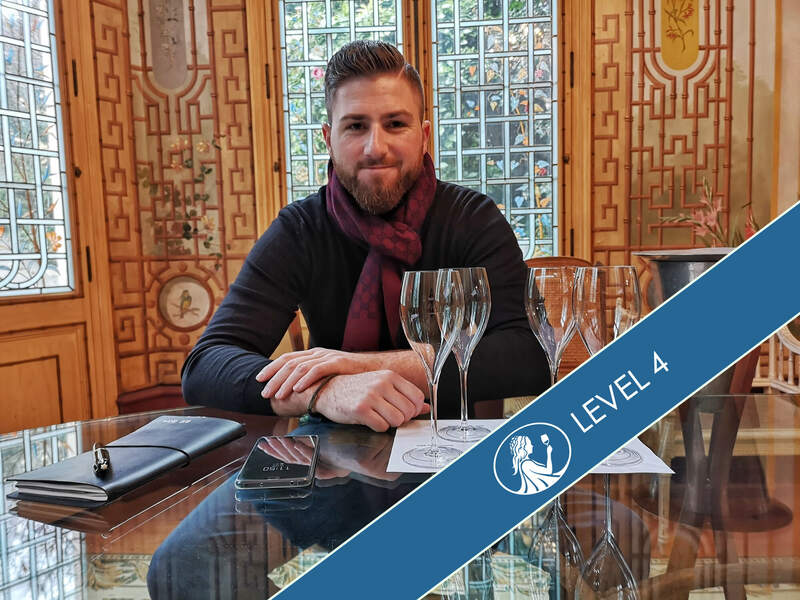 If I were already through with WSET Level 3 – yes, the Level 3 documentation is right in front of me and it works – the New Diploma would definitely be ‘the way to go’ for me. The framework of the diploma is very well thought-out, supported in the right places and takes the WSET 3ler very competently to the new level. Exciting and the most relevant fact for the New Diploma is indeed the bilingual course and the exams held in English. Sure, it would take more effort, but if you’re on this level, mastering everything in English, you’re ready for professional, international exchange and can be safe and prepared for the world of wine. Whether in commerce, the gastro or in journalism. And I believe that anyone who wants to do the New Diploma will benefit from bilingualism. Even if he works in Germany and is on the road. At the latest on the next trip to a foreign wine region, where new wines should be included in the portfolio or in the wine list, you know that you have done everything right. You know someone who might be interested in this article? Maybe a WSET 3’ler with ambitions? Then forward it now with the Share buttons at the top and bottom of the page.